During wartime, a large emphasis was placed on growing produce at home and not wasting any food. Meat was also rationed. Our Victory Belle Cristina has a great fall Lentil Stew recipe that uses ingredients that were common in WWII Victory Gardens and that were mindful of the time’s rations. Give it a try and follow the instructions below! Our Victory Belle Cristina has a hearty fall recipe to share with you! As a very busy Victory Belle, health is a top priority! With performances filling up the calendar, we’ve got to be ready to go at any moment. This means making sure we are getting enough sleep and eating well. This Lentil Stew recipe is a perfect fall dish that’s full of vitamins, fiber, folate, and antioxidants. This dish keeps The Victory Belles satisfied and energized enough to get through our high energy shows—and it tastes great! This one pot of Lentil Stew can be served as a main dish or a side. Lentils have very little calories (about 280 cal. for 1 cup of cooked lentils) and a lot of fiber. So they’ll fill you up—not out! Kale is full of antioxidants and is an anti-inflammatory too. Both kale and lentils are known to help in the prevention of certain cancers and heart diseases. Peel and cube eggplant, and put in a colander over the sink. Then salt the eggplant, and let it sit for 20-30 minutes to help get rid of the eggplant’s bitter liquid. Once the eggplant has been salted for about 30 minutes, rinse the pieces with water and pat dry each cube with a paper towel. While the eggplant is sitting, chop up onions and carrots into bite size pieces. For the kale, cut into bite-sized chunks or ribbons removing the hearty center stem on each leaf. Add olive oil into a big pot (I prefer cast iron) heating over medium heat. When the oil heats up begin to add onions, carrots, eggplant, and kale seasoning each layer of vegetables added with shakes of rosemary, cumin, herbs de provence, salt, pepper or whatever other flavors you prefer. Once the vegetables begins to cook down add the 3 cups of liquid to the pot with the 1 cup of dry green lentils. Bring this mixture to a boil and let simmer for 4 hours. Be sure to check it periodically adding more flavors and bits of lemon juice and Sherry Vinegar to taste. Fresh herbs are always a plus. With this dish, earthy flavors work well, but feel free to add the notes you love most. Hope you enjoy one of my favorite recipes! 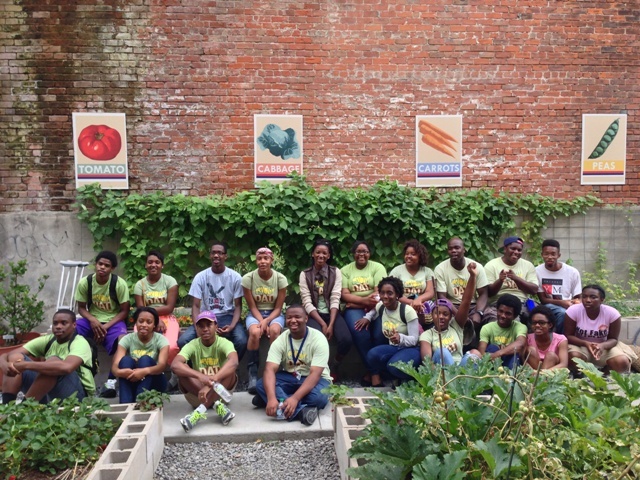 This week, twenty high school students from New Orleans’ Grow Dat Youth Farm visited the Museum’s on-site Victory Garden. Grow Dat is a non-profit educational program in which teens from five local high schools plant, grow and harvest their own produce on a four-acre farm located in the heart of New Orleans’ City Park. 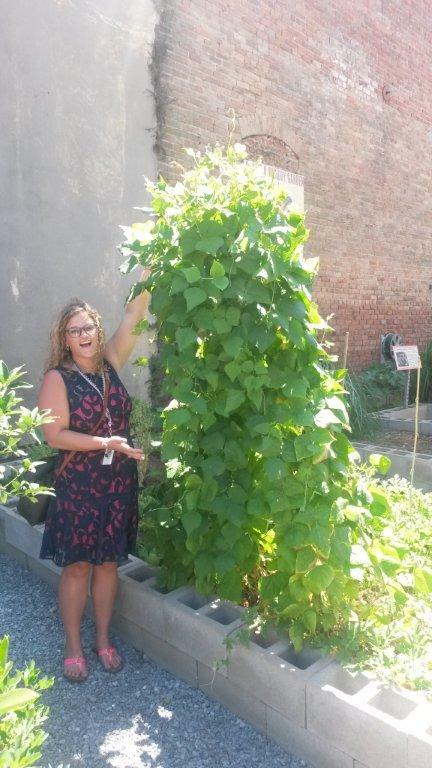 The members of Grow Dat visited the Museum’s Victory Garden to learn about the roots of urban farming and the parallels that exist between Victory Gardening in WWII and today’s local and organic food movements. During WWII, there were more than 20 million Victory Gardens planted across the United States – roughly one Victory Garden for every seven people. Even though Grow Dat does not call itself a Victory Garden, it shares the same mission: to produce healthy food for the local community. To learn more about Victory Gardens in WWII, visit the Classroom Victory Garden Project. 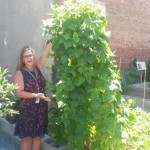 Fall fun this Saturday in the Museum’s Victory Garden! The Museum’s Victory Corps will be in the garden from 10 am – 12 pm. Kids can make a mini-scarecrow perfect for fall decorating. All visitors can see what’s growing in our Victory Garden every Saturday morning in October. Free and open to the public. For more information call 504-528-1944 x 229 or visit the Museum website. 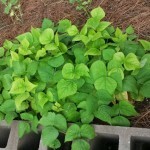 Like the Victory Garden on Facebook! Visit more than one local garden this October and be entered to win a prize from the garden of your choice. 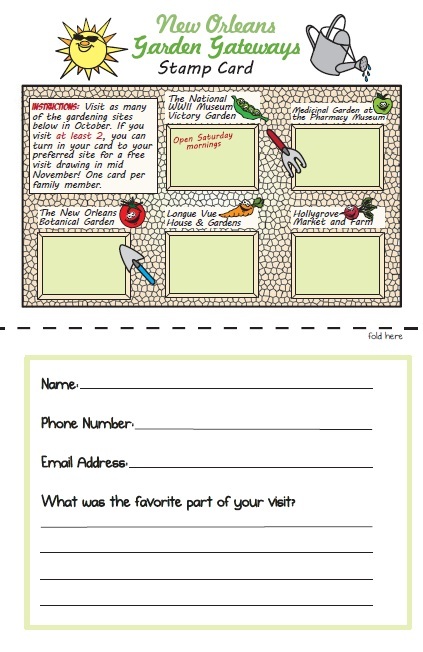 Print out your New Orleans Garden Gateways card and enjoy family fun time this fall! The USDA stressed the importance of groups one through three not only for their nutritional value, but due to the fact that the foods included could all be grown to some degree in personal Victory Gardens, thus saving ration points for more limited items such as meat and sugar. It is also interesting that butter was a category unto itself. 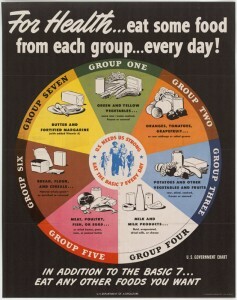 Share your stories of the Basic 7 Food Chart at our Kitchen Memories site today. A few years ago we asked people to send us their memories of food and eating during World War II. We had some great responses, but we know there are more out there so we are asking you to help! If you have memories of the kitchen from the war years, please send them to us. We’d love your stories, recipes, and memories. If you were born after World War II, this is a great opportunity to talk to those who did experience both good and bad meals during wartime. Each Friday we will publish food stories on our blog. Our goal is to produce a publication that will be available for free download on our website, so that all who are interested can read the stories and try the recipes we receive. Please talk to the war generation, from veterans to kids on the home front, and share their stories with us. What do you remember about food rationing during the war? Do you remember using substitutes for unavailable ingredients? Did you or anyone you know shop on the “black market”? 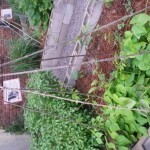 Did you grow a Victory garden? What about working or eating in local restaurants? 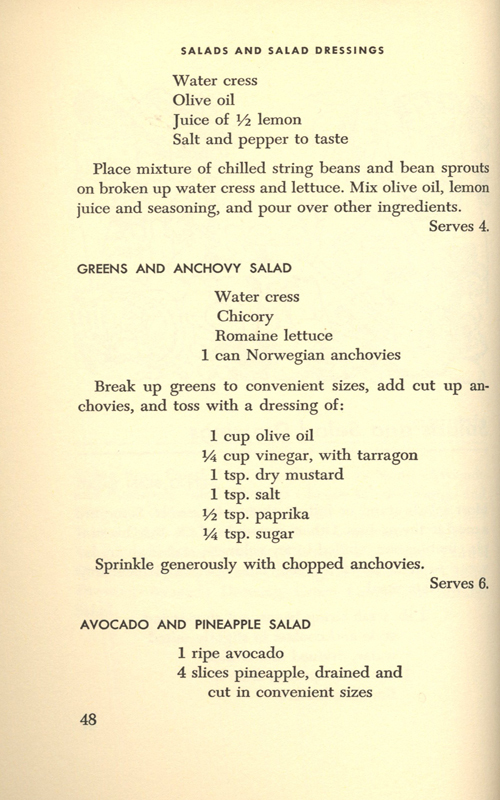 What was your greatest food challenge during the war? What was your favorite food during the war? 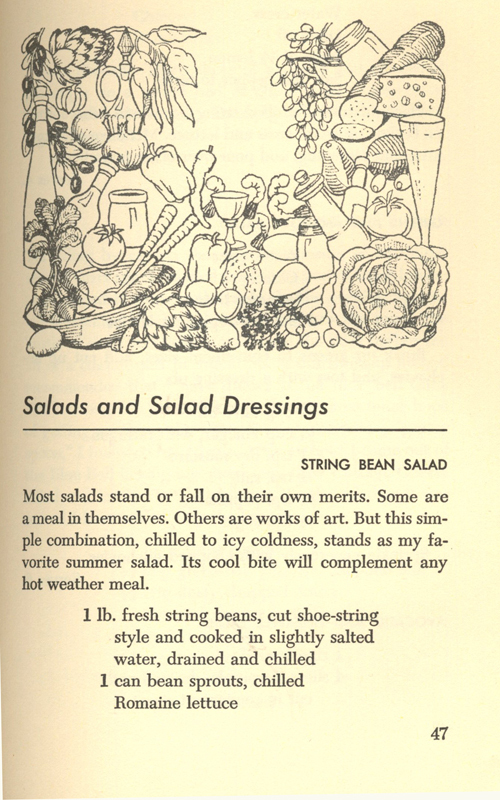 Do you remember any unique recipes (triumphs or disasters) that came out of your Home Front kitchen? Send your memories to kitchenmemories@nationalww2museum.org today. 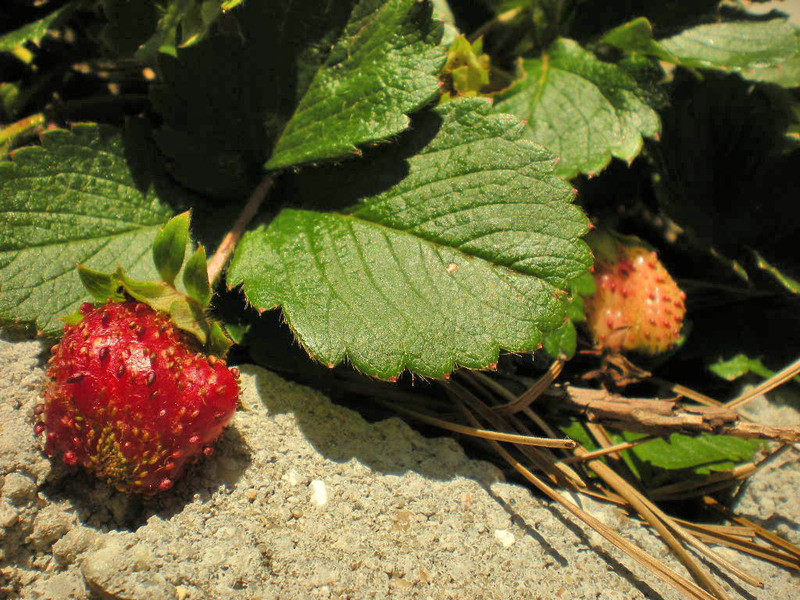 Strawberries from the Museum’s Victory Garden. Today marks the 32nd annual Earth Day, where we’re all challenged to foster a clean and sustainable world for us and many generations to come. The Earth Day network launched a campaign to collect “One Billion Acts of Green” by 2012. At The National WWII Museum, there’s plenty of ways to help reach that goal and promote environmental responsibility. Next time you’re in or around the Museum, be sure to check on the progress of our Victory Garden, carefully tended and cared for by Louisiana Master Gardeners and Museum volunteers. You’ll be able to see how quickly the corn in the front bed is growing or maybe even a few strawberries or tomatoes starting to sprout. Perhaps this will serve as inspiration to start a Victory Garden at your home, whether it’s a small indoor planter with fresh herbs or multiple raised beds in your backyard. 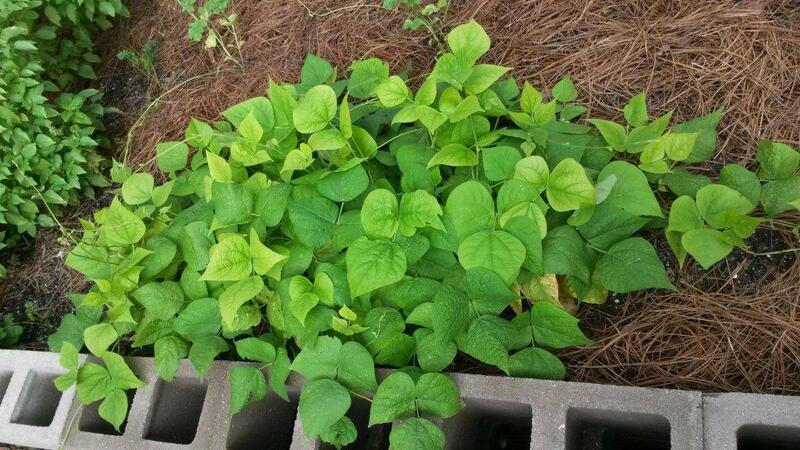 Join us in our Victory Garden on April 28th for our family workshop on composting. Kids will make and take home their very own soda bottle composter. They’ll discover all the different elements that create healthy compost, how decomposition works, and how their food wastes can be turned into healthy soil for their garden. Families will also learn about WWII scrapping, how people banded together for the war effort to ensure that very little went to waste, and what purpose these recycled materials served. We can bring the Earth Day spirit right to your school’s doorstep through our Red Ball Express mobile outreach program. The Red Ball Express will roll to schools within a 60 mile radius of the Museum, and deliver a dynamic, hands-on program that puts students at the center of it all. In our Seeds of Victory program, students will go grocery shopping with ration books in hand, interpret propaganda posters and even start a garden in their own classroom. Want to get in on the fun, but live thousands of miles away? Book our latest videoconference Virtual Victory Garden at your school to be part of the initiative. 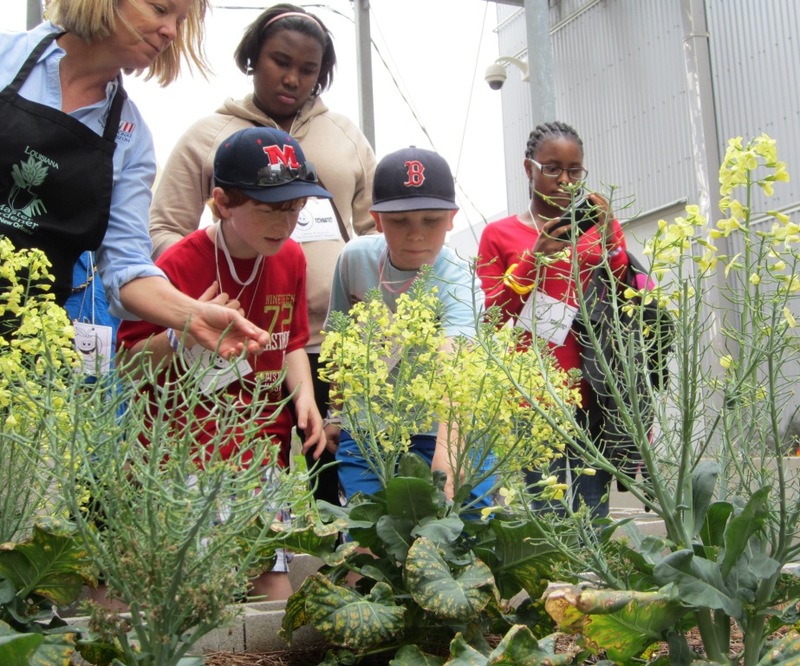 This program is perfect for students in grades 2-5, and it teaches them the lessons of sacrifice and teamwork on the WWII Home Front, nutrition, and the just plain fun of gardening. In the program, students will play an exciting game to figure out all the steps to growing a healthy garden. To contradict Kermit the Frog, today it IS easy being green, especially by getting involved at the Museum! Posted by Chrissy Gregg, Virtual Classroom Coordinator at The National WWII Museum. 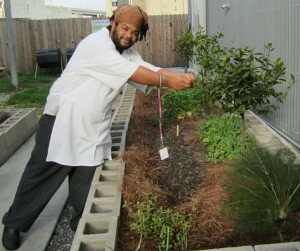 We’re Celebrating Spring in our Victory Garden! Louisiana Master Gardener and Museum volunteer, Melissa Luer, shows students that broccoli flowers are great bee-attractors. Perfect for pollinating the rest of the garden! The time change and warmer temperatures means that spring is steadily approaching (however, there’s been little respite from hot weather in New Orleans ). The welcome of spring marks the kick-off of our Victory Garden Field Trip. Yesterday, we dodged the raindrops and welcomed a home school group from Jackson, Mississippi. The field trip started out in the education classroom, where students brainstormed the meaning of team work and how everyone on the home front worked together for victory. We couldn’t have 20 million Victory Gardens during WWII without families and communities working together to tend and grow their own gardens across the country. The group then traveled to the Museum galleries, where they were assigned to study one artifact and answer a few critical thinking questions. Here, they discovered how kids contributed to the war effort. The students examined the everyday sacrifices Americans made to support their country, from working double shifts in factories to even carpooling to work and school. 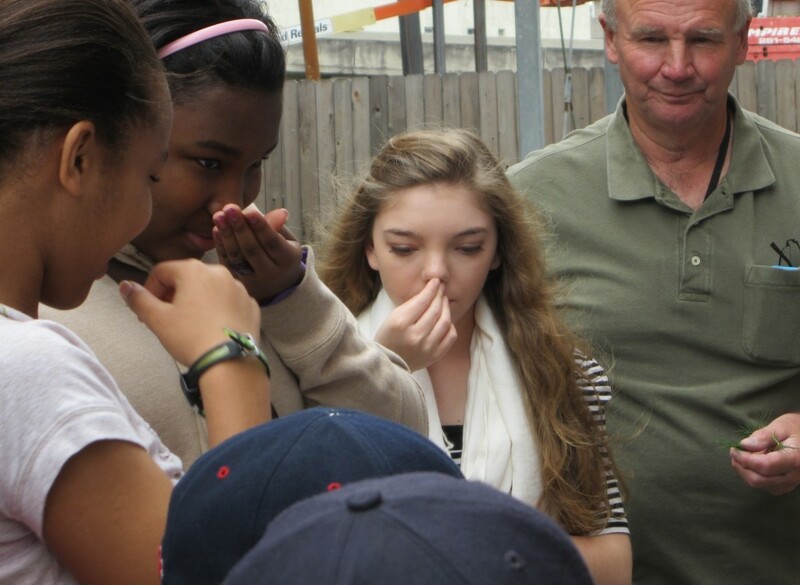 Museum volunteer Nick Rightor shows students that herbs aren’t just tasty, they smell good too! 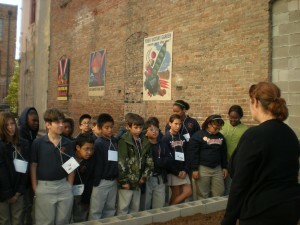 The program ended in the Museum’s Victory Garden, where students really got their hands dirty. They learned the proper way to make compost, examined (and tasted!) the plants and herbs, and contributed to the garden by planting some spicy cayenne peppers. After the group saw and participated in the care of our garden, they took some seeds with them and were encouraged to start their own Victory Garden at home. Want to grow with us? Book your Victory Garden Field Trip today! Out-of-town school groups can join in the fun by booking our Virtual Victory Garden videoconference! Families! Interested in getting your hands dirty in the garden? Check out our full schedule of family workshops! Registration for April 28’s event opens on March 28. 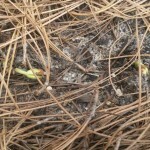 Read previous Victory Garden posts. This morning, on the way in to the Museum, we ran into Anderson. Anderson works at The American Sector and was picking bay leaves from our Victory Garden to use in dishes that Museum visitors may dine on today! It’s 75 degrees in our garden today. What’s the weather like where you are? 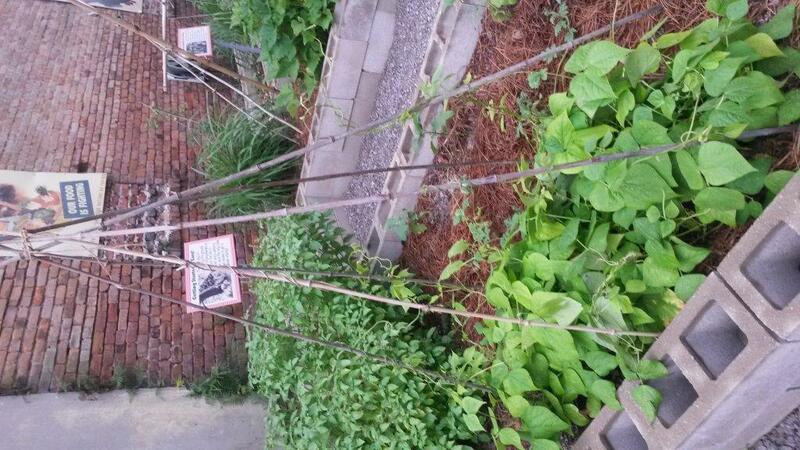 Learn more about our Victory Garden at the Museum. This past weekend we hosted our first two victory garden events with kids! On Friday, the 5th graders from Schneckenburger Elementary School in Kenner participated in our first Victory Garden Field Trip. They learned about Victory Gardens and how kids contributed to the war effort on the home front by working together as a community and everyone pitching in. They then toured the home front galleries to learn of more examples of people working together on the home front. Then we went out to the Victory Garden to see our growing garden. 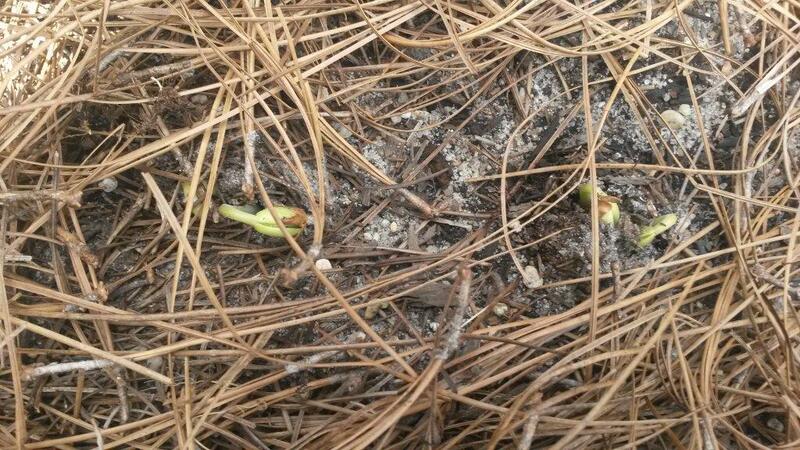 They planted fava beans in our school plot. They were garden experts as they have their own victory garden at school they’ve been growing for the past three seasons, but were very enthusiastic to learn about the history of victory gardens and what kids their age did during wartime.